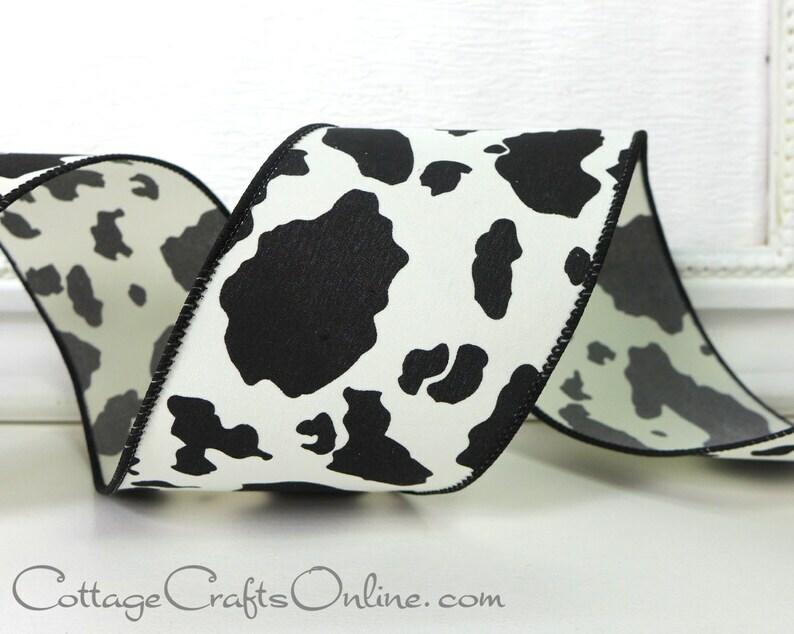 Black and ivory, off-white cow print, 2 1/2" wide, with a wired edge covered in black thread. Fabric has a slight suedelike feel. So cute. Can't wait to use it! Lovely ribbon, texture is beautiful.